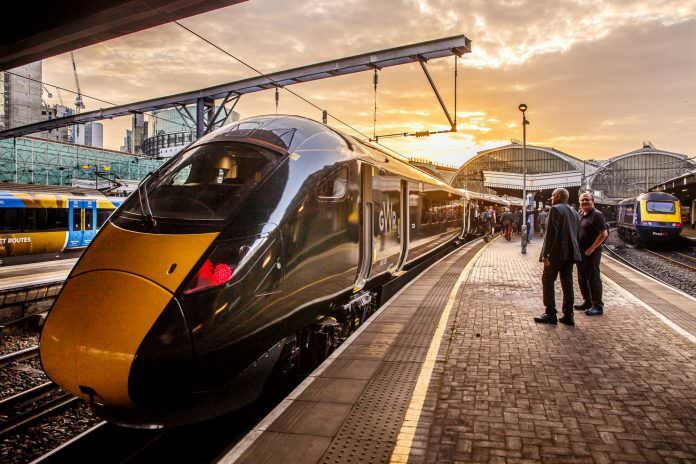 The first Intercity Express Train (IET) has entered passenger service with Great Western Railway (GWR). The Hitachi-built Class 800 marked its first trip at 6am on October 16, leaving Bristol Temple Meads for London Paddington. The new trains have a top speed of 125mph and up to 24 per cent more seating capacity than the High Speed Trains (HSTs) they replace. GWR managing director Mark Hopwood said that the train operating company (TOC) was “once again making history” with the first new IET in a generation. In total, Hitachi is delivery 36 five-carriage and 21 nine-carriage Class 800 trains as well as 22 five-carriage and 14 nine-carriage 802 trains. The full fleet is due to enter service by December 2018. Hitachi Rail Europe’s managing director Karen Boswell said that the achievement was the culmination of nine years of hard work – from creating the £82 million factory at Newton Aycliffe to recruiting a 1,000-strong workforce. She added: “We are really proud to have built trains in the UK, designed using Japanese bullet train technology, which are improving passengers’ journeys on the Great Western route. The Government-led Intercity Express Programme was funded by Agility Trains. I do like the new GWR Class 800 trains. Plus more are being built throughout this year and into next year. Along with the Class 802’s also under construction at Hitachi Italy factory.